On November 28, 2017, there was a joint work session by the COOP committees for the Eustis-Farnam Board of Education and the Elwood Board of Education at the Elwood Public Schools Media Center. Shelly Jorges, Kristy Diefenbaugh, and Kelly Gydesen represented Elwood and John Keller, Michelle Fasse and Ginger Craig represented Eustis-Farnam. Superintendent Hatch and Superintendent Sampy were also in attendance. There was no agenda for the meeting as it was designed to facilitate informal, preliminary discussions that would be shared with the respective full Boards at a later date. 1) General thoughts about the COOP with both committees sharing mostly positive and some negative feedback they’d received from stakeholders. 2) Feelings on the Student Council recommendations of team name, team colors and team mascot derived from the shared Student Council Meeting on 11/19. The consensus of the committees was generally supportive of the Student Council recommendations with some concerns about team colors and team mascot. 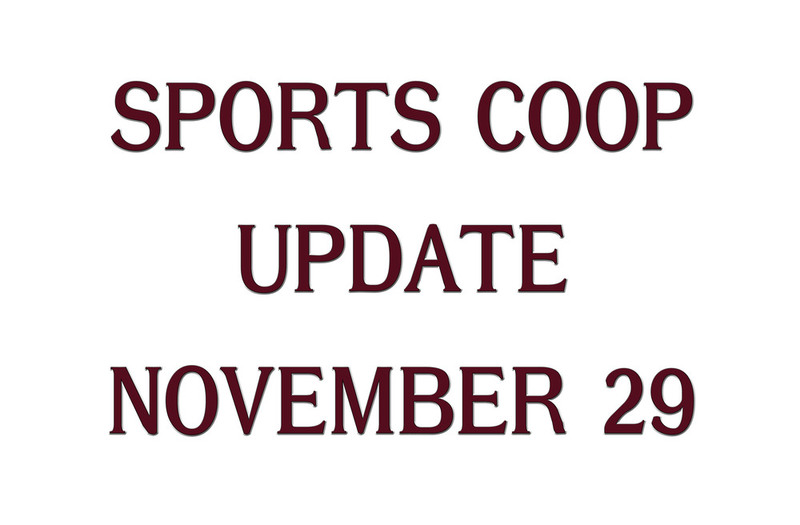 3) COOP personnel discussions centered on how coaches for the COOP would be hired, who would evaluate coaches, and whether the COOP should have one or two athletic directors. The consensus was the superintendents should make coaching recommendations to the Boards. Coaching evaluations could be determined at a later date and at this point it would be beneficial to keep both athletic directors in place. 4) Athletic handbooks, with no real consensus on whether a combined handbook should be created. The feeling was some type of shared handbook would probably develop over time. 5) Transportation, with committee consensus being transportation is probably going to be a very difficult issue for both districts to address. 6) Bands/Spirit Clubs/Booster Clubs, with committee consensus hoping school bands could work on the same pep band materials with the idea of getting together a few times per sport season at each other’s school and perform for home contests. It was felt spirit clubs and booster clubs would need some direction at a future date. 7) Location of events, with consensus being sharing all activities at home sites as equally as reasonably possible. 8) Discussion was held on how to make this the best experience for the students at Eustis-Farnam and Elwood. Consensus of the committee was to keep communication open as a way to avoid barriers to success. The overwhelming consensus from the group was to keep the focus on the students of Elwood and Eustis-Farnam and try to provide students with a positive athletic experience by creating and maintaining more opportunities for our young people. The committees agreed that the discussions and information would be shared with the full boards of the respective schools, with the understanding that each full board would make their own determinations about all of the issues independent of any committee discussions or consensus.